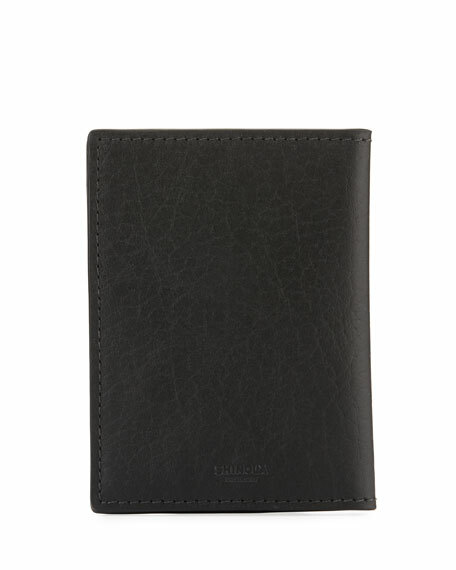 Shinola passport holder with raw-cut edges in signature leather. 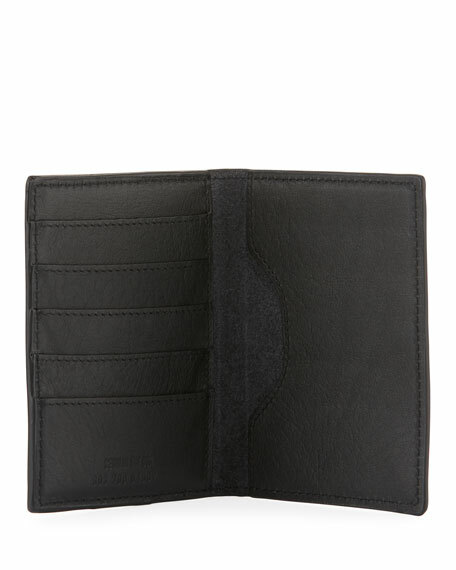 Interior: five card slots and two slip pocket. Individual serial number on inside.